It all began in 1981 in sunny South Florida feet away from the pristine Miami beaches and world famous Bal Habour Shops. Rabbi Sholom D. Lipskar emissary of the Lubavitcher Rebbe, Menachem M. Schneerson, May his Merit Shield Us, would stand on Collins Avenue for hours asking passerby's if they were Jewish and would like to join in a Minyan. 35 years later, we are thousands strong, have over 9 daily minyanim and over 78 programs that have a positive impact on individuals around the globe. Located on Collins Avenue, at the nexus of Bal Harbour, Bay Harbor Islands, Indian Creek Village and Surfside, The Shul is the center for Jewish activities for these four communities and thousands of international tourists that visit or make South Florida their second home. The Shul prides itself in welcoming all Jews and is known as one of the most unorthodox, Orthodox synagogues. Our slogan "Over The Top" refers to our strive to bring Excitement, Joy and Family to every aspect of The Shul's activities. The Shul has an eminent team of Rabbis, educators, Rabbinical students, professionals, staff and volunteers. The Shul’s commitment to the highest standards of leadership, learning and outreach is evident through the programs, classes and services. The Shul has a significant Sephardic membership with a Sephardic Minyanim to accommodate their unique traditions as well as a significant Latin American membership. In addition to traditional synagogue services, The Shul provides a treasure chest of opportunities for Jews of all ages and distinctions. The popular programs The Shul offers include: Adult Education Classes, The Sephardic Minyan, fostering the Sephardic traditions; The Shul Youth Club, boasting a large number of activities from classes to social meetings and outings; The Shul Sisterhood, uniting the women of the community in various projects and events; Women's and Men's Mikva; The Shul of Downtown, for a quick dose of Yiddishkeit to the business world; Spanish Program, for the Latin-American community, and much more! The Shul is based on the ideology of Chabad Lubavitch, which has at its foundation based on the encompassing mitzvah “to love every Jew as one loves himself” and to permeate that love with Acts of Kindness, Mitzvas, Torah Study and Prayer. A home away from home, a gathering place where unity is paramount. We are here for you, welcome to the family. Since receiving ordination from the Central Lubavitch Yeshiva in Brooklyn in 1968, Rabbi Sholom D. Lipskar has been an emissary in Miami for the Lubavitcher Rebbe, OBM. In 1969 he founded the Landow Yeshiva Center in Miami Beach, Florida. He has served as its principal and dean of its elementary school, Yeshivah Academy, and high school, and was responsible for training the rabbinical students. In 1981, he founded The Shul of Bal Harbour. As head Rabbi, he is both the spiritual leader and educational programmer for all ages. Also in 1981, Rabbi Lipskar founded the Aleph Institute and the Educational Academy for the Elderly. The Aleph Institute is a non-profit national humanitarian organization dedicated to improving the quality of life for Jews in limited environments, including prisoners and military personnel and their families. Rabbi Lipskar has created alternative punishment philosophies and developed unique educational opportunities for the general public in the field of treatment of closed populations. He also directs the pioneering Educational Academy for the Elderly. Rabbi Lipskar is the founder and chief organizer of the Miami International Conferences on Torah and Science. Rebbetzin Chani Lipskar is the co-founder of The Shul and Head Rebbetzin. What seemed like an impossibility, together with her husband Rabbi Sholom D. Lipskar, emissaries of the Lubavitcher Rebbe, Rebbe M.M. Schneerson OBM they began a movement to care for each Jewish family in 33154. Born in Miami to his illustrious parents, Rabbi Sholom and Chani Lipskar, Shluchim of the Rebbe, grew up in an environment committed to benefiting society and making the world a better and holier place. He was educated at the Rabbinical College in Manchester, England and then at the Lubavitch Rabbinical College in Montreal, Canada and later as a Shliach apprentice in South Africa. He was ordained in the Central Lubavitch Rabbinical College at 770 Eastern Parkway. He then Co-founded a venture philanthropy-based company benefiting national charities and presently serves as Associate Rabbi at the Shul of Bal Harbour. 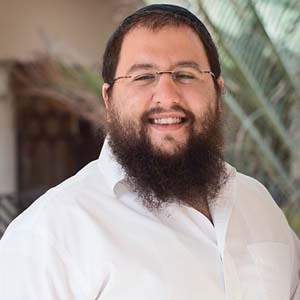 In his role as inspirational leader, innovative strategist, Rabbi Zalman has proven his ability to cultivate an environment for a financially strong and spiritually connected Jewish community. Steven Dunn was born and raised in Florida, and has lived in the Miami area throughout his life. He graduated with a Bachelors Degree in Finance from Florida State University in 1981, and received his law degree in 1984 from the University of Florida. He was admitted to the Florida Bar in 1985 and joined his father’s practice, Dunn and Johnson, that same year. He is admitted to the U.S. District Courts of Florida as well as the United State Court of Appeals, 11th circuit. 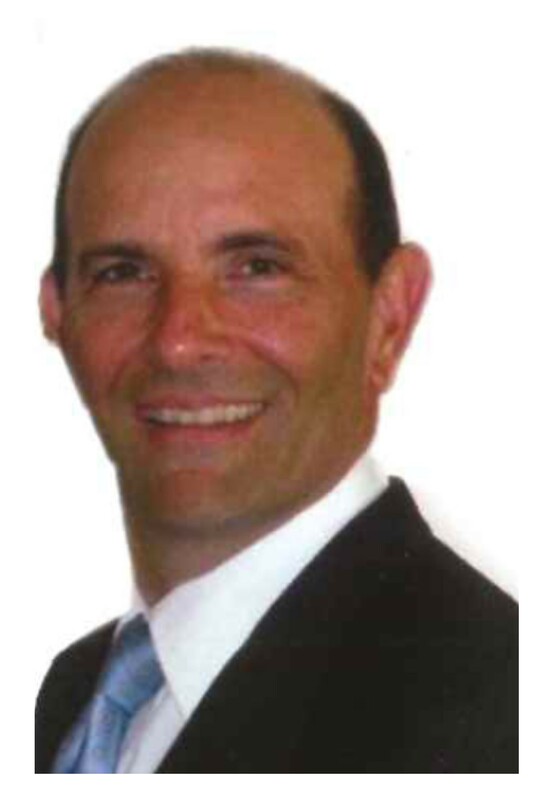 Mr. Dunn is now the principal in the law firm of Steven M. Dunn, P.A. Steven and his wife, Sandra, have three children. As the daughter of The Shul’s founders, Rabbi Sholom Lipskar and his wife, Rebbetzin Chani: Devorah Leah Andrusier was introduced into The Shul and its many facets from a very early age. As the ‘Overseeing Director’ of the Youth Department, she supervises and teaches the understanding of the value of generating educational, inspirational and fun programs. She looks ahead to see exciting and entertaining courses, events and outings for all the youth activities, from the bochurim and young ladies brought in to guide our young. She empowers them, as a real life role model, with whatever they need to educate our youth, as they begin their journey into Jewish life. Having studied psychology is perhaps one of the reasons she is so conscious of the predicament of others and how to deal with the myriad of difficulties (and joys), in which many of our community find themselves. However being the mother of Batsheva (who herself now has two daughters, with husband Moishe) along with siblings: Itty, Kaylee, Rafael, Tanya, Adina and Israel and of course running her busy household with the help of husband, Yankie, may also have a little to do with her multi-tasking personality. Chana Lipskar has been active in the field of education development for eighteen years, focusing on teaching, early childhood development with focus on the Montessori methods. Chana was born and raised in Brooklyn NY and graduated High School from the Beth Rivkah Girls Academy in Brooklyn NY. She spent a year in Israel at the Kfar Chabad Teacher’s Seminary and then returned to her hometown of Brooklyn to continue to hone her skills at Touro College and received her BA in Early Childhood Education and/Psychology. Her professional career began in 1997 as an Early Childhood Teachers Assistant at the Beth Rivkah Girls Academy Head start program where she spent the next four years a became a full time teacher. Chana then moved to Florida in 2001 to join her husband and became the Founder and Director of The Child Enrichment Center at The Shul. 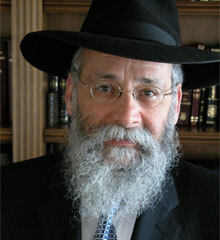 Rabbi Shea Rubinstein was born in Buenos Aires, Argentina, where he attended the Chabad-Lubavitch Yeshiva. He continued his rabbinical studies at the Yeshiva Gedola of Kiriat Gat, Israel (1993-1995), the Rabbinical College of America, New Jersey(1995-1997), a fellowship program at YeshivahOhrElchonon Chabad, Los Angeles, CA and obtained his ordination in 1998 from the Yeshiva Gedola of Sydney, Australia. Since 2001, Rabbi Rubinstein serves as a teacher, the director of The Shul’s “Jewish Latin-American Connection” and coordinator of the Shul’s Adult Education Program, conferences and lectures. Dov Schochet is a Rabbi and teacher at The Shul. He gives weekly classes on a wide variety of topics including Talmud, Ethics of our Fathers, the Prophets, Chumash textual analysis etc. Along with seasonal courses covering the breadth of Jewish life. Dov was born in Miami and currently resides in Surfside with his wife Kayla and their two daughters Musya and Shayna. Prior to coming to The Shul,Dov served as an instructor in Yeshiva TifferetBachurim in Morristown, NJ and ran a learning summer program for teens in Parkland FL. He received his Rabbinic ordination from KollelTiferet Menachem in Pacific Palisades, California. He then received Dayanut from Rabbi Moshe Gutnick of Sydney Australia while studying in Brooklyn, NY. After getting married he lived in Jerusalem for three years while studying in the old city in the Tzemach Tzedek Shul. While there, Dov received his license from the State of Israel to be a Rabbinic Lawyer, authorizing him to argue cases in front of the Israeli Rabbinic courts. He also began personal training with Rabbis in both Jerusalem and Monsey, NY for practical knowledge in family purity laws. Dov objective is to elevate the level of Torah knowledge in the community. By fostering in depth study and an appreciation for our rich academic history, his goal is to bring real awareness and understanding to our beautiful Torah, it's laws, our festivals and Jewish thought. Aurit grew up in Johannesburg South Africa, studied in teacher’s seminary in New York and then taught in both Israel and South Africa before joining The Shul in 2007 as Hebrew School Director. Aurit is passionate about Jewish Education particularly about making sure that every student who comes through The Shul Hebrew School leaves with a strong, positive Jewish Identity. Her teaching philosophy is based on respecting differences, tapping into talents, and sharing her love for learning with her students. Aurit feels we all have something to contribute and we can learn so much from our students. She feels that with a consistent, positive and respectful approach we can make lasting, meaningful difference in a student’s life. Dobie Rubinstein was born and raised in Brooklyn, NY. After graduating from BaisRivkah Schools, she completed her studies in Bais Chana Seminary (Tzfat, Israel) and has been teaching 6th grade Judaic Studies at the Lubavitch Educational Center for the past 14 years. Dobie joined the team of Shluchim at The Shul of Bal Harbour in 2001 where she lives with her husband, Rabbi Shea Rubinstein, and her seven children. She coordinates the Sisterhood Holiday events and directs the Bat Mitzvah Club at The Shul. Rabbi Shaykee Farkash serves as Youth Program Director and Director of The Shul's Camp Gan Israel. Strategic, charismatic, kind and with an eye for innovation and pixel perfection he brought light and fun to the program. He worked as a substitute in Ohalei Torah in Brooklyn, NY while spending time learning in Kollel and Chabad-Lubavitch World Headquarters. He was also Chaplain at The White Plains Hospital. Rabbi Farkash was part of several Camps from Los Angeles, New York, Puerto Rico to Athens and Ukraine. Prior to his time in New York, Rabbi Farkash had studied with several teachers in the Jewish world; Australia, Los Angeles, Argentina, France just to mention a few places. He is fluent in English, Hebrew, Spanish, Yiddish and Portuguese. Rabbi Farkash lives in Miami, where he now feels like fits in, with his wife Deby; who teaches women’s classes and assist the Youth Department also at The Shul. They have two beautiful daughters Ruthy and Mushka, who are their sunshine. His wish is to combine his knowledge and experience to deliver the best creative Youth Programs to bring the kids closer to the community and Judaism. Rabbi Farkash has combined his interest on Judaism with his passion for working with youth.